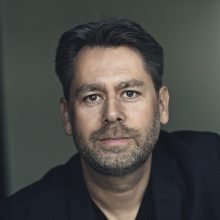 Casper Klynge is the world’s first tech Ambassador, whose previous jobs include postings in Indonesia, Cyprus and Afghanistan, as well as several duties in Copenhagen – has broad international experience from the Ministry of Foreign Affairs and international organizations. He has worked with both foreign and security policy, development cooperation, export promotion as well as a range of sector policies in cooperation with a broad range of ministries, authorities and the private sector. He has been actively engaged on the tech and digitization agenda and he has also been writing on the subject.